The @me.com e-mail addresses went live a few days ago. Does that mean you can use username@me.com in iChat? 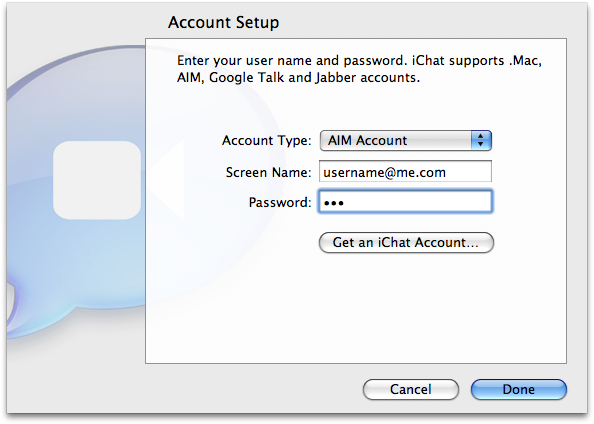 In iChat, simply add a new account (iChat –> Preferences –> Accounts) by clicking on the + symbol in the bottom left. Instead of adding a .Mac Account, choose AIM Account and add your username@me.com. I've been using a GoDaddy reseller (NoMoreWebMasters.com) to register domain names with GoDaddy at a cheaper price than godaddy.com ($6.95 vs $9.99 for .com). The Total DNS Control Manager for this domain is temporarily unavailable. Please try back later. After noticing this problem for several days I called GoDaddy. They told me it was a browser issue. While the rep had me on hold I googled the error message and I noticed some other people having the same, undetermined, problems. I then noticed that the NoMoreWebMasters.com page was actually framing the GoDaddy affiliate page. 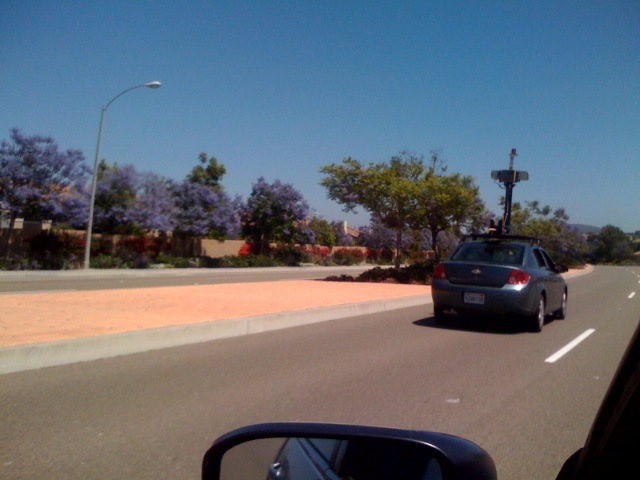 Once I removed the GoDaddy page from inside the frame the problem went away. I ran into this problem on OS X Leopard with Safari and Firefox 3.0. However, on Windows XP with Firefox, the NoMoreWebMasters.com page worked inside the frame and I could change the DNS. 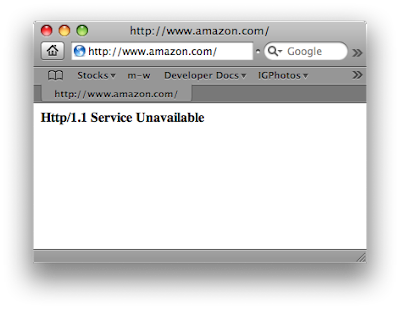 So, for some reason, framing a GoDaddy affiliate page doesn't work on the Mac.